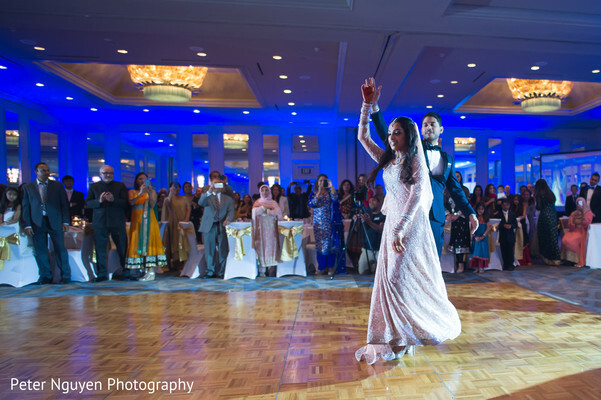 Following our newlyweds' incredible wedding ceremony, guests headed to the Hyatt Regency Birmingham, where floral and decor phenomenons, Aayojan, had decked out the celebratory space in dark teals, sparkly sequins and gold bows, and DJ Hiren lit it all up just beautifully in the the most spectacular mood lighting. 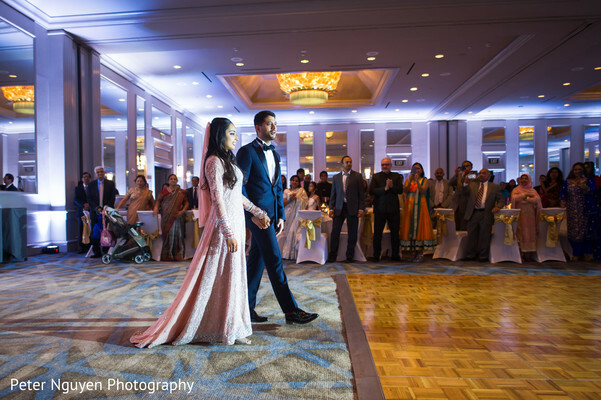 Maharani Madiha elicited oohs and ahhs as she made her entrance in a soft, pink-colored gown, and matching veil. Hand-in-hand with her beau, who was dressed in a perfectly tailored navy tux, the two kicked off the reception in fashionable style. 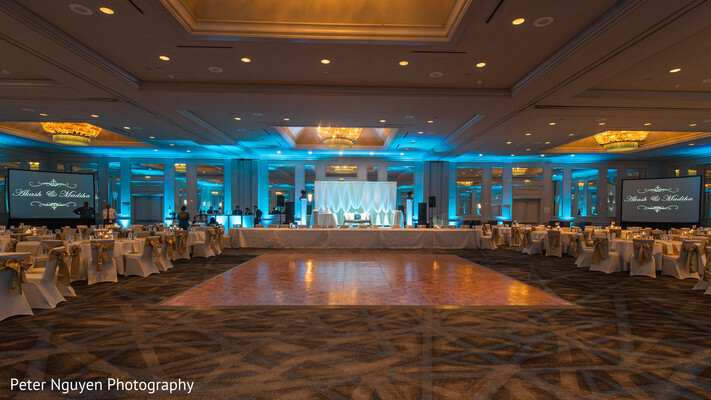 Peter Nguyen Photography beautifully captured the evening's most memorable moments, from the couple's gorgeous portraits to their first dance and the lovely decor details that are sure to leave you feeling inspired. We can't wait to check out the day's details in what promises to be an unforgettable wedding film by One Entertainment Production! For now, let's just revel in all the amazing images from this wedding event. You can see even more, and trust me you want to, in the complete gallery! 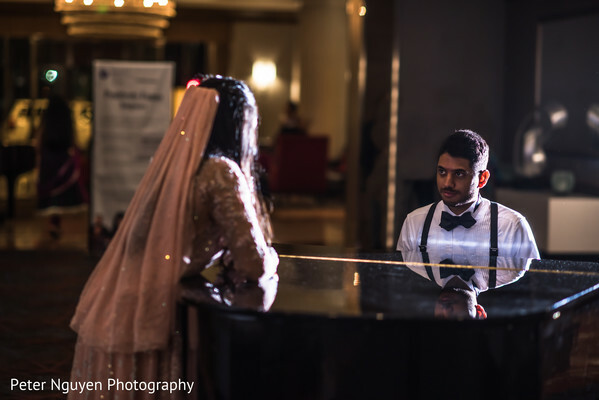 "This wedding was a dream come true for us. It was a true joy to see our families and friends come together and unite as one. 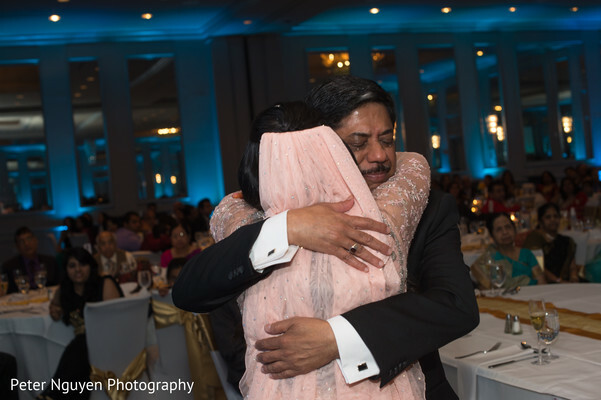 It was the first time in thirty years that all nine of Akash’s aunts and uncles were able to be together. We couldn’t be happier and are so grateful to everyone who made it a success." 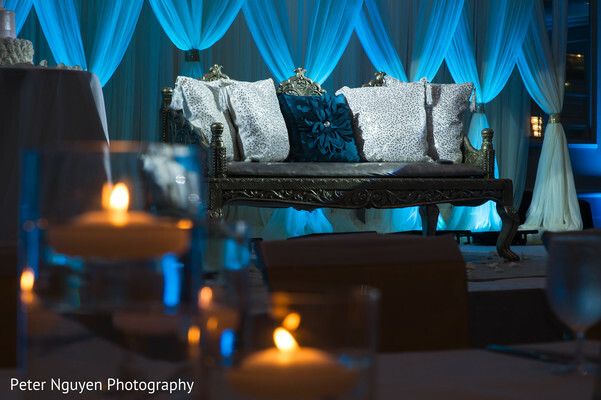 See you gals tomorrow when we unveil another extraordinary South Asian wedding! 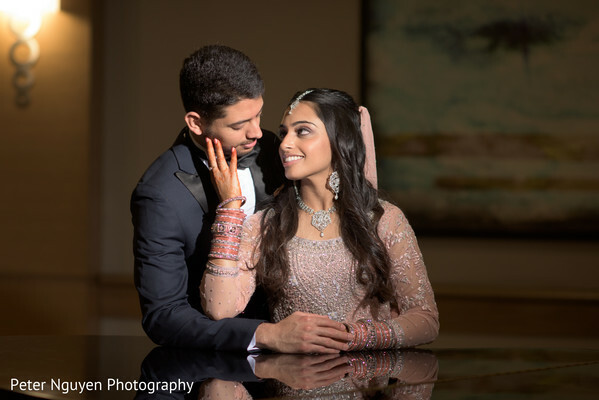 Peter Nguyen Photography and Aayojan are members of the Platinum Guide. Love what you see? Explore their portfolios.